Norma Graham was born on August 8, 1944, in St. Louis, Missouri. She received her bachelor’s degree in mathematics from Stanford University in 1966 and her Ph.D. in psychology from the University of Pennsylvania in 1970. After completing her doctorate, she became a post-doctoral fellow in visual neuroscience at the Rockefeller University. Following her fellowship, she took a position in the Department of Psychology at Columbia University, where she has worked since 1972. Graham is a leading researcher in the field of visual perception, using mathematical models to interpret results from psychophysical experiments and neurophysiological studies. She is particularly interested in what might be called the hidden layers of visual perception — stages of processing far from the input end (the light hitting the retina) and also far from the output end (conscious perception and control of action). Her early work on pattern and form perception helped develop the concept, now widely accepted, of multiple channels sensitive to different ranges of spatial frequency and orientation. Her book Visual Pattern Analyzers (1989) summarized, integrated, and extended the work of many scientists investigating multiple channels not only for spatial frequency and orientation, but also for many other dimensions of pattern vision. Her subsequent work (along with that of a number of other scientists) hypothesized and investigated several other kinds of processes. These include complex channels (also called second-order or non-Fourier channels) and two forms of contrast adaptation (normalization and comparison). When combined with the original multiple channels, these produce an even better description of hidden stages of visual processing. Graham has served on the editorial boards of several journals and on the committees of various professional societies. She has also served on numerous committees and task forces at Columbia University and is currently chair of the Department of Psychology there. She considers one of her greatest contributions (and pleasures) to be the teaching, not only of graduate students, but also of large numbers of undergraduates, both in courses and in her laboratory. 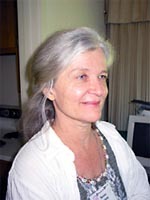 Graham’s contributions to psychology and the visual sciences have been recognized through the honors she has received. She is a fellow of the American Psychological Association and of the Optical Society of America. She was elected to the Society of Experimental Psychologists (1983), American Academy of Arts and Sciences (1993), and the National Academy of Sciences (1998). * The FABBS Foundation would like to thank Dr. Howard E. Egeth, Dr. Donald Hood, Dr. Morton Ann Gernsbacher, and Dr. James R. Pomerantz for nominating Dr. Graham for this honor and for leading the effort to spread the word about her nomination. Would you like to honor Dr. Graham? It’s not too late to have your name added to the list of donors! You can make your donation to Dr. Grahams In Honor Of… campaign at anytime.